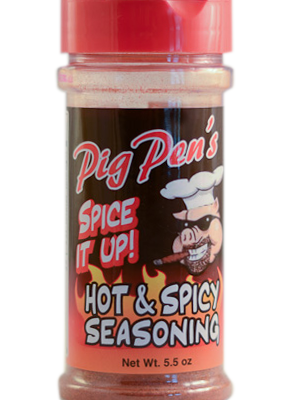 Fiery foods fans rejoice: By popular demand, the folks at Pig Pen have created a Hot & Spicy version of their Original Seasoning! 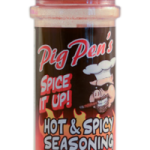 First-Place Scovie Award winner in the “Meat Required – All-Purpose Dry Rub/Seasoning” category, Pig Pen’s Hot & Spicy Seasoning features plenty of habanero and cayenne pepper to produce a fiery yet versatile spice blend that’s an excellent hot dry rub for pork, ribs and chicken. 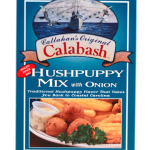 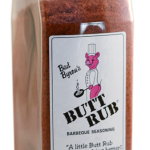 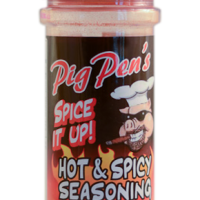 Be the first to review “Pig Pen’s Hot & Spicy Seasoning (5.5 Oz Bottle)” Click here to cancel reply.